I’m not a big fan of pinks. I only have one other pink in my possession and that is Levenger Pinkly. So, I can’t offer an alternative for this particular Iroshizuku ink. My apologies. I figured folks would still like to see a review of it, so here it is. This is quite a bright pink. There is some sort of slight undertone to it, but I can’t decide if it’s blue or purple. I could see using this for grading or editing papers. Suffice it to say I could not imagine reading a page of something written with Tsutsuji. 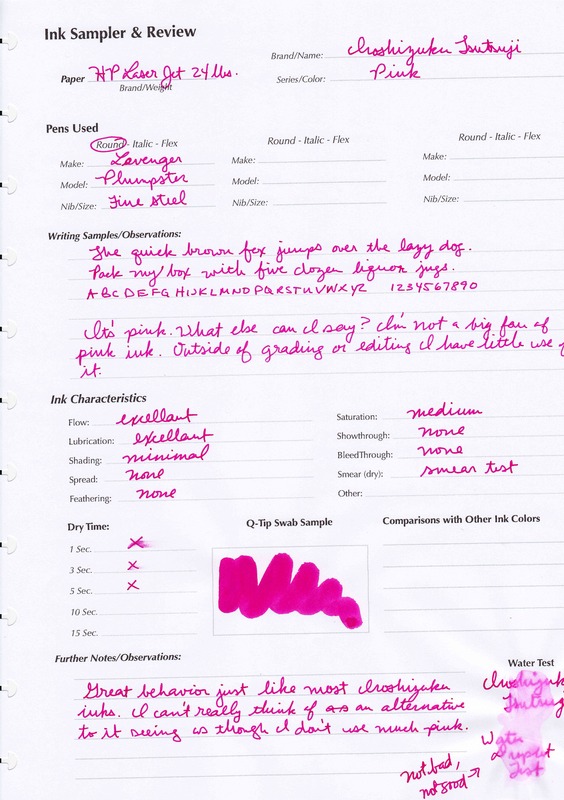 But, if you are a big fan of bright/hot pinks, this may just be the ink for you. Fairly quick drying time at 4-5 seconds. Slight water resistance, but not very good at all (see sheet). ← Rhodia Webnotebook 3.0 Review and GIVEAWAY! I love this color. I’ll have to go through my other inks and see what comes close. 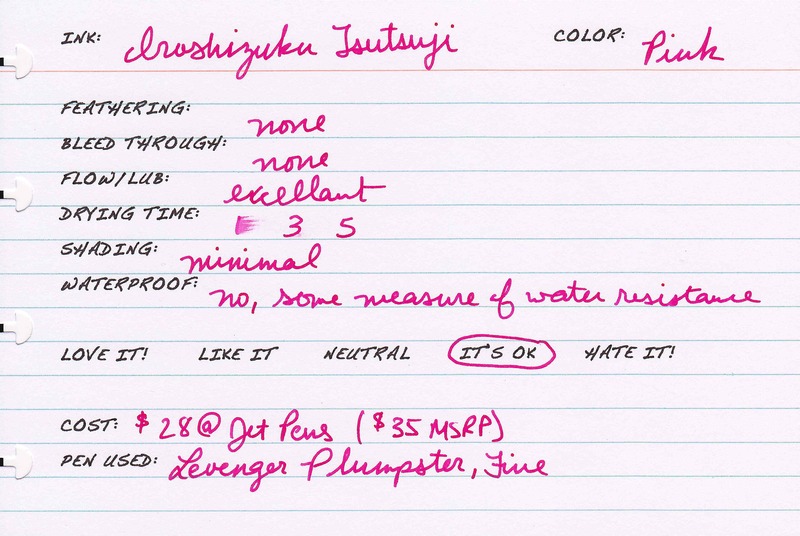 I have always wondered how this color compares to Diamine Amaranth (one of my faves)…Iroshizuku is still too much of a splurge for me to try 😦 The Shin-ryoku I sampled at the DC pen show was fantastic, though!